Nutrition is a science, not an opinion. Graduated with MSc in Nutrition science from University of Zagreb Faculty of Food Technology and Biotechnology. Currently working on PhD thesis on subject of Nutrigenomics and Personalized nutrition in Spain. Former president of Croatian Association of Nutritionists – the first nutritionist organization in Croatia – whose members I share the goal of promoting nutrition and protecting the nutritionist trade with. For many years I played basketball in the 2nd Croatian league, and I've also finished the Ironman triathlon. Actively advocating usage of scientific method in understanding and explaining the world. Nutrition-wise I try to focus on the bigger picture instead of isolated, often irrelevant, dietary factors. I oppose dietary ideologies and obsessing about diet. I don't have a single dietary approach that would make me partial in interpreting literature. Instead, I base my advice on best available scientific literature. If new quality data presents itself, I am willing to put into context the existing knowledge and change my advice acordingly. I don't claim to have all the answers. It's essential to promote critical approach to nutrition information. I also highly emphasize the importance of psychological and social component of nutrition. I am not writing to achieve perfection. I am writing to deliver better understanding and useful advice. As a non-native English speaker, I hereby apologize for the lack of style and grmatical errors. nutricionizam.hr project began in 2011 as a reaction to the rising number of nutritional misinformation in the media. With time, it has overgrown national boundaries, and since 2018 the page is active in English language. The project is very active on social networks. In the middle of 2018, its Facebook and Instagram pages count more than 15000 followers. Our clients include numerous local and international top athletes, among others Olympic champions, European and World champions in different sports, as well as national champions and record holders. 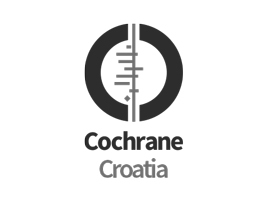 We collaborate with a number of fitness centers, coaches, psychologists, as well as institutions and organizations such as Cochrane Croatia, together promoting a healthier lifestyle and scientific approach to nutrition.